The judgement for smuggling nearly six tons of cocaine will be pronounced to Darko Saric and members of his group on Monday. On that occasion, KRIK summarises key moments of the case, details of the investigation and trial, and points to key controversies that have followed the case in the past ten years. Due to suspicion of being involved in drug trafficking, Darko Saric was under supervision of domestic intelligence services since 2005, however, the investigation was launched only three years later. In 2007, the police found 20 kilograms of heroin in a car parked in a garage in New Belgrade, which belonged to Darko Saric and his brother Dusko. Four people were arrested, including their cousin Arso Saric. No investigation was launched against the brothers, but they were both invited to testify. Dusko told the court that he gave keys to the garage to his cousin Arso so he could take care of his car. “When I found out that a car with 20 kilograms of heroin was found in my garage, I was in shock and I don’t understand why the drug was brought to my garage,” said Dusko Saric then. He explained to the judge that his brother Darko could not come to testify because he had gone to France on a business trip. In March 2008, the Brazilian police seized 1.2 tons of cocaine in Itatiba, about 90 kilometers from São Paulo. The drug was found with Dutch citizens, but the police established that they acquired 1.1 tons from Saric’s group. The prosecution claims that the Brazilian branch of the group was led by Nikola Dimitrijevic. The cocaine was transported from a São Paulo house, where it was stored, to the customers by cars with a special double bottom and using a pre-determined route. In early 2008, the Italian police uncovered a group of Balkan cocaine smugglers. 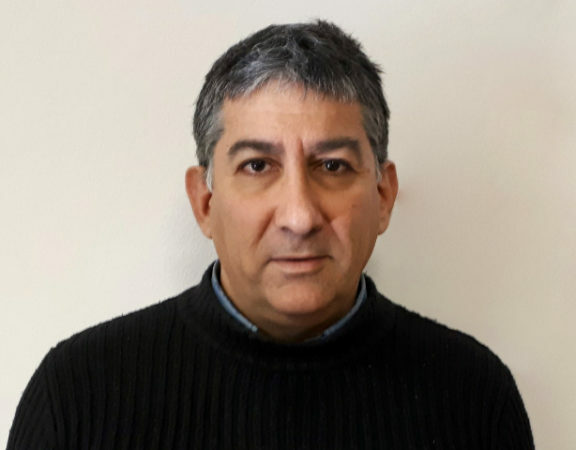 The police discovered it after the Maya action, in which the Italian criminal Francesco Petrelli, who worked for the Salvaggio criminal group, was arrested. 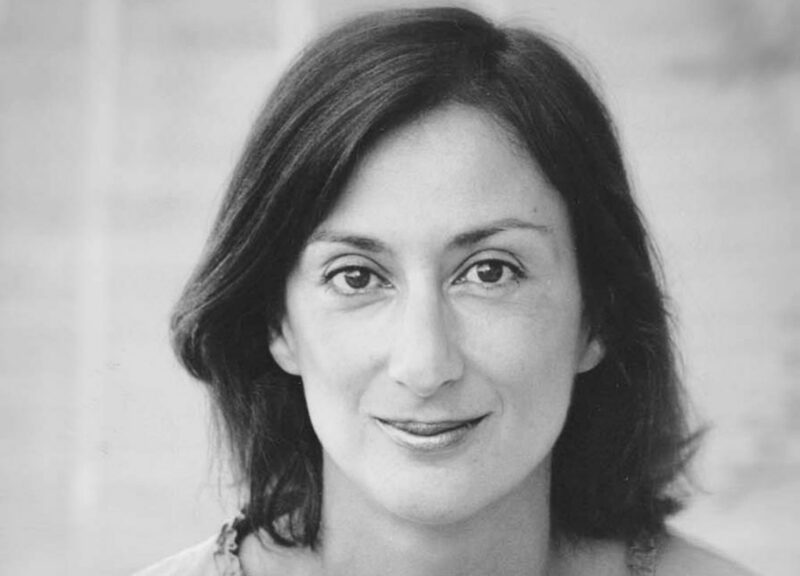 Petrelli agreed to cooperate with the police and told them that a group of cocaine dealers, made up of citizens of the Balkan countries, quickly forced its way into the market in Milan. According to him, the group was successful in conquering the market primarily due to its quality cocaine, and their trademark were their multicolored balloons in which they packed the drugs. During 2008, the Milan police seized more than 700 kilograms of the group’s cocaine in several actions. The first serious team that was dealing with international smugglers was assembled in 2008 and was composed of representatives of the Serbian police headed by Milorad Veljovic, operatives of the Security Information Agency (BIA), whose director then was Sasa Vukadinovic, the Prosecutor’s Office for Organised Crime led by Miljko Radisavljevic and the officials of the British Serious Organised Crime Agency (SOCA). The big operation, however, failed. The smugglers that transported from Argentina to Europe 1.8 tons of cocaine hidden in a soybean packages on their ships Golden and Verti, received a tip that the police in Greece, to where the drug was supposed to be sent, were about to search both ships. The smugglers had therefore delivered the cocaine in Spain and thus avoided its seizure. 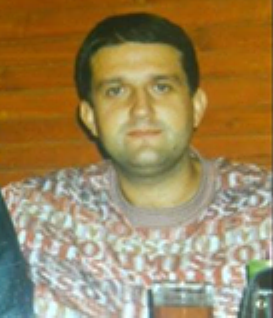 At that time, Rodoljub Radulovic, one of Saric’s associates and owner of both ships, met with the Ministry of Interior’s top people – then Minister of Interior Ivica Dacic, his national security adviser Ivica Toncev, Head of Dacic’s Cabinet Branko Lazarevic and Deputy Head of Cabinet Vanja Vukic. Those meetings were secretly recorded by the Security Information Agency (BIA). 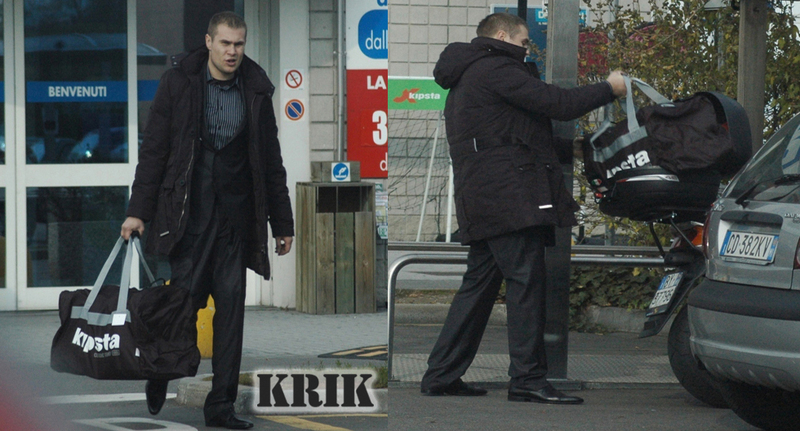 KRIK came into possession of the recordings and released them. Witness associate Drasko Vukovic told the court that at the end of 2008 one of the group’s chiefs told him that they had an insider at the Ministry of Police who was informing Radulovic on the cocaine smuggling investigation. Because of that, they had to change the way they communicated and switch from telephone to internet communications. They started communicating via Skype, e-mail, and via unsent draft messages. After the failed operation, the next international team for the investigation of Saric’s group was formed in collaboration with the US Drug Enforcement Administration (DEA). The prosecution and the Security Information Agency (BIA) led the investigation on Serbian part, while the police were excluded due to the previous information leakage. 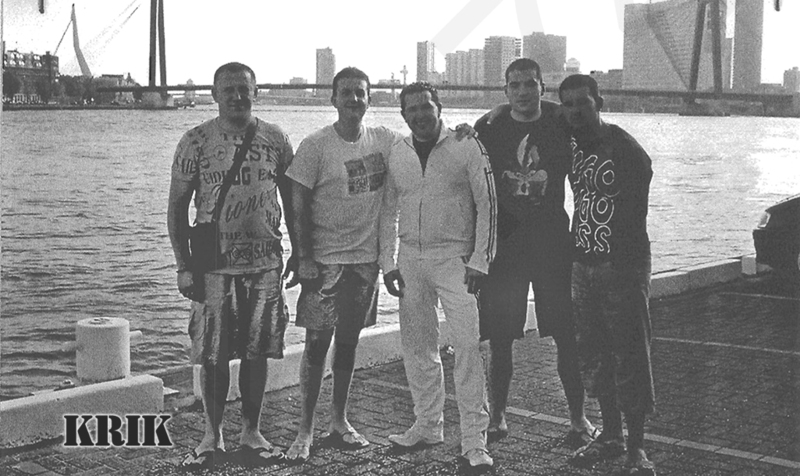 This team’s efforts led to the international action named Balkan Warrior which started in October 2009. In addition to the aforementioned parties, the Uruguayan and Argentine police participated as well. Not far from the Uruguayan capital Montevideo, 2.1 tons of cocaine were found on the Maui luxury yacht. The drug was seized because the group failed to transfer it on time to an ocean-going ship that would transport it to Europe. That same day, the Serbian police arrested in Kragujevac Zeljko Vujanovic, a relative of Darko Saric, as well as several other persons suspected of being members of the criminal group. According to the testimony of his associate Nebojsa Jestrovic, Darko Saric went from Podgorica to Geneva that day for a meeting with businessman Stanko Subotic. After following the members of the organisation in Buenos Aires, the Argentine police discovered the house where the group was keeping 490 kilograms of cocaine. The drug, packed in multicolored balloons, was found in a hidden partition of a lift pane in an old, lapsed house in November 2009. In January 2010, Serbia issued an international warrant for Darko Saric. Before the warrant was issued, Saric tried to renounce his Serbian citizenship and take a Montenegrin one, for which the local police granted. In his request for renunciation of Serbian citizenship, he stated that he intended to return to his birthplace because his mother was ill and that he had lost his job in Serbia. However, his request was rejected. A month later, Milo Djukanovic, then Prime Minister of Montenegro, confirmed in an interview for B92 that Saric had received guarantees for Montenegrin citizenship, but he also said that the police had not known then that he had committed any criminal offence. “We can talk about as many suspicions as we like, but we should not deprive people of basic rights, of a right to citizenship, based only on suspicions. If you’ll allow it, we are not giving him freedom by doing so. We are not awarding him the Nobel Prize,” said Djukanovic. The first indictment for cocaine smuggling was filed by the Prosecutor’s Office for Organised Crime in April 2010, after which four more indictments followed. Another 36 people were charged along with Saric. The trial began in September of the same year, and 11 people were arrested at the end of 2009 and at the beginning of 2010. Three defendants became witness associates, while nine members of the organisation signed plea deals with the prosecution in exchange for sentences ranging from four to eleven years in prison. In May 2010, the Slovenian police arrested 17 persons that were part of the Slovenian arm of the group, which was headed by Dragan Tosic. In the first trial, four members of the group were sentenced, while the others, including Tosic, were acquitted of charges, primarily because the court pulled from the evidence the eavesdropped phone conversations sent by the Serbian authorities to the Slovenian Prosecutor’s Office. The judgement was, however, set aside and a new trial was ordered. In repeated proceedings, in which Serbian evidence was used, Tosic got 16 and a half years in prison, and another 14 members of the group were sentenced. The judgement is not yet final. In July 2010, Saric wrote a letter that he passed to the media through his lawyer. The letter was reportedly sent from “one Eurasian country”. He claimed that he was not the mastermind behind the drug clan and drug trades, and that he was being publicly lynched through the media and certain government structures in Serbia. He ended the letter by saying that he was sorry that he could not personally declare everything and have a fair trial, and that he was forced to deny lies in that way and ask for justice that “he will eventually have”. The police action Balls (Loptice), named after the balloons in which the cocaine was packed, was led by Mario Venditti and Miljko Radisavljevic, special prosecutors for organised crime in Italy and Serbia. It began in November 2010, when the Italian Prosecutor’s Office issued warrants for 105 persons on suspicion of being part of a Balkan drug cartel, which resulted in arrest of 79 persons in Italy and 22 persons overseas. Dusko Saric, brother of Darko Saric, was arrested in Montenegro on suspicion of being involved in drug smuggling and money laundering. Journalists of the research network Organised Crime and Corruption Reporting Project (OCCRP) found out that Montenegro’s Prva Banka, controlled by the family of Prime Minister Milo Djukanovic, cooperated with Saric. Saric deposited millions of euros in the bank and was an important client to whom the bank was approving extremely favorable conditions. 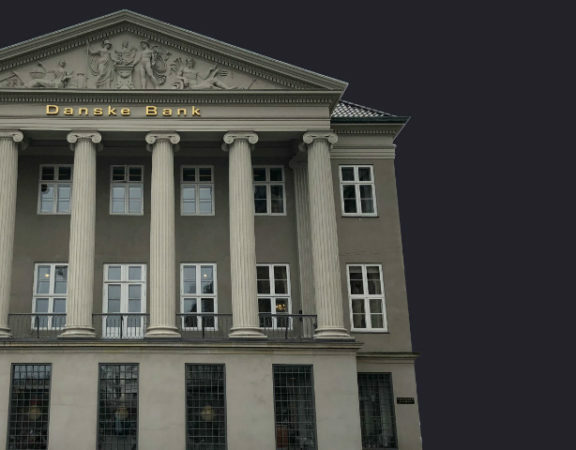 The bank also gave loans to companies that were under control of Saric and his associates, as shown in the documentation obtained by the journalists. One such company is owned by controversial businessman Stanko Subotic, who raised a loan with Prva Banka based on the guarantee given by Saric’s company. Read more in a different story. Two days after the early parliamentary elections in March 2014, when Aleksandar Vucic’s party won power, Darko Saric arrived in Serbia in the early morning, after almost five years on the run. He arrived in the country by airplane and in the company of Security Intelligence Agency (BIA) agents. To this date, the public has not been informed in which country Saric surrendered and how the negotiation of the surrender was going. Saric changed his lawyer before surrendering. Radoslav Bacovic, former president of the Special Court in Belgrade, became his new defence lawyer. The power of attorney was signed by Saric’s mother. Saric explained in court that he had surrendered because he felt that, because of the change of the political climate in Serbia, he could have a fair trial. “This is a fair trial now, Darko is not an enemy anymore.” He said that prior to the surrender he had been hiding in the Dominican Republic and that there had been several attempts from Serbia for negotiation, but he refused all offers. One of the negotiation attempts is described in a note regarding the interview with Rodoljub Milovic, then head of the Criminal Police Directorate (UKP). Milovic said that he tried to negotiate Saric’s surrender with Branko Micunovic, a famous member of the Montenegrin underworld. The document says that Micunovic asked Milovic to obtain information from the prosecution about the level of sentence which Saric would receive if he surrendered. Micunovic allegedly said that he would commit the assassination of Milorad Veljovic, the police chief, if the agreement was not respected. Milovic, however, conducted these negotiations on his own and without the prosecution’s knowledge. When he did inform Prosecutor Miljko Radisavljevic about it, the prosecutor did not want to participate, so the negotiations ended, the note states. In an interview with KRIK in April 2016, Aleksandar Vucic denied that negotiations on the sentence-level with Saric ever took place. Branko Lazarevic, former head of the Cabinet of Ivica Dacic, who was having meetings with Radulovic at the time when the cocaine was being smuggled, was charged in September 2014 of providing members of the criminal group with information on whether the police were following and eavesdropping on them. As stated in the indictment, Lazarevic was in contact with two members of the drug cartel – Radulovic and Radovan Strbac, Saric’s attorney charged with money laundering. His chief Ivica Dacic introduced him to Radulovic in 2008, whom he presented as his good friend. Lazarevic’s trial is coming to an end, but without key evidence. The judges have revoked the eavesdropped telephone conversations evidence that, according to the prosecution, prove that Lazarevic had provided to Saric’s close associates confidential information from the investigation. Among the conversations were those of Dacic and Radulovic. 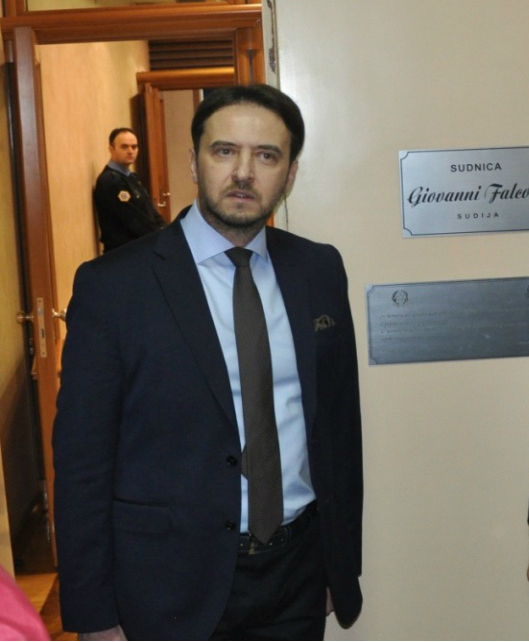 The Trial Chamber that eliminated the evidence was headed by Danko Lausevic, who chaired the chamber that issued the acquittal of Dacic’s associates in the noted suitcase affair in 2010. Saric denied in court that he had anything to do with cocaine smuggling. He said that the whole process was a put-up by the former government that wanted to condition him to testify against Montenegro. He repeated several times that the proceedings against him were led because he was tied to a “businessman who had to hide abroad because of politics,” referring probably to Stanko Subotic. He also said that the testimonies of the witness associates, primarily that of his long-time friend Nebojsa Joksovic, were false and that Joksovic came up with the idea that he was the leader of the drug smuggling criminal organisation only to protect himself. Apart from the former government (President Boris Tadic and Minister of Justice Snezana Malovic), Saric also accused Inspector Rodoljub Milovic of being “the corrupt general Papaya” who had set up the evidence against him. During one of his appearances in courtroom, in response to the prosecutor’s questions, Saric said: “You’ve got me for Italy only and nothing else.” Asked by the judge what he thought by that and what had happened in Italy, he replied “What you accused me for,” but then corrected himself and stated that none of the testimonies of witness associate Joksovic, who among other things said that Saric asked him to find a person that would hide 150 kilograms of cocaine from the Italian police, was true. The individuals that participated in the investigations of Saric’s group were either transferred or demoted the year that Saric surrendered. Ivica Petrovic, former chief of the Security Intelligence Agency (BIA), who conducted the drug cartel investigation right before Saric’s arrest, was demoted to position of Security Intelligence Agency (BIA) operative in Obrenovac. Investigative judge Dragan Lazarevic, who signed the eavesdropping and supervision measures approvals, was transferred to another position in 2014. The trial was followed by media campaigns, the texts were placed in tabloids to discredit the main players in the case against Saric – the police, prosecutors, and journalists that were covering the case. One part of the campaign was directed against the head of the Criminal Police Department (UKP) Rodoljub Milovic, which led to his removal in June 2014, several months after Saric’s surrender. In an interview with KRIK in 2016, Vucic said that there were many reasons for his removal, but he could not speak publicly about it. 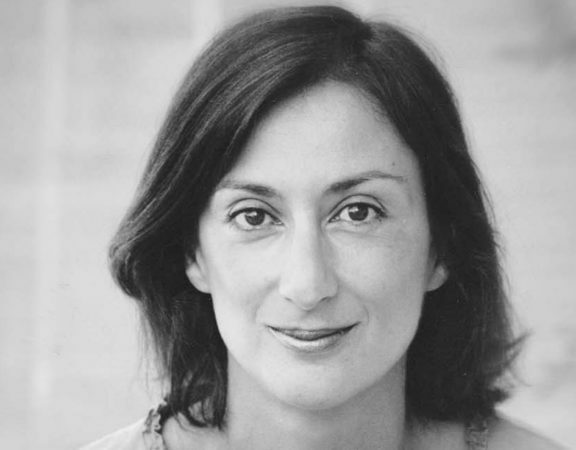 The second part of the campaign was directed against the Prosecutor’s Office for Organised Crime, when, among other things, the photo of the prosecutor Sasa Ivanic was published from the Ministry of Interior database. The photograph, as it was found, was leaked from the Security Intelligence Agency (BIA). After a few years, Saric, his lawyers, and many tabloids in Serbia, continued with the attempt to discredit witness associate Joksovic. He was once Saric’s close friend and was the only one who told the prosecution that he had received the information on cocaine smuggling from Saric, which is why the rebuttal of his testimony was of the utmost importance for the defence. In April this year, Darko Saric’s brother Dusko was acquitted of charges for money laundering in first instance judgement in Montenegro. He was acquitted of charges for cocaine smuggling in 2013. In the first judgement for money laundering, Saric and Jovica Loncar were sentenced to eight and six years in prison respectively, but the judgement was overturned. After that, the Higher Court in Bijelo Polje sentenced Saric and Loncar two more times to five and a half years, but the Court of Appeal overturned the judgement each time. Saric and Loncar sued Montenegro for the detention and demanded a total of 370,000 euros in damages. In July 2015, Saric was sentenced to 20 years in prison in a first instance judgement. He did not want to attend the judgement pronouncement and was not brought in from custody. The Trial Chamber composed of three judges – Sinisa Petrovic, Vladimir Vucinic and Aleksandar Tresnjev, did not pass the judgement unanimously, which means that one of them had a different opinion, but it is a secret how each one of them voted. A year later, the Court of Appeal overturned the judgment and ordered a new trial. In this case too, the decision was made by majority vote. 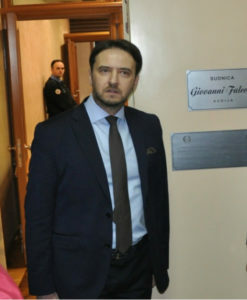 The court stated in the explanation that the judgment was overturned for several reasons – it was not clearly written, Judge Vladimir Vucinic should not have been a judge in Saric’s case because he participated in the confirmation of indictment, and the defendants should have been tried under the older, milder law. Saric’s trial started over in September 2016, but the judges were changed. At the beginning of 2016, Judge Vladimir Vucinic was removed from the Special Court and assigned back to the Palace of Justice because, according to the President of the Court Aleksandar Stepanovic, his mandate expired. Soon after that, Vucinic left judgeship and started doing advocacy. As he said in an interview with KRIK, he did so because Stepanovic was pressuring him. Two years later, President of the Court Stepanovic transfered another judge from Saric’s council – Aleksandar Tresnjev. This way, the only one left from the chamber which issued the conviction to Saric was its president Sinisa Petrovic. The repeated trial of Saric’s group was marked by frequent adjournments. During 2017, the trial was adjourned more than 20 times. The number of adjournments was higher than the number of trials held that year. The most common reason for adjournment was illness of the lawyers, as well as the fact that Saric canceled the power of attorney to his lawyers and requested an ex officio defence lawyer. The precedent was made several times. For instance, Judge Sinisa Petrovic postponed the trial because of the scheduled lawsuit in which Saric sued a witness associate. Also, some lawyers refused to represent the defendants even though they had the authorization. Due to numerous delays, prosecutor Sasa Ivanic reacted saying that the adjournments are intended to prolong the proceedings in order to release Darko Saric from detention. KRIK journalists regularly followed Darko Saric’s trial and published a number of investigative stories that reveal the links between this group and businessmen and politicians. Donate KRIK and help us continue our work.